This is major: Tennis ace Roger Federer wore Alexander McQueen when he was out and about at Old Bond Street in London on Tuesday. Is this the result of hanging out with Anna Wintour? 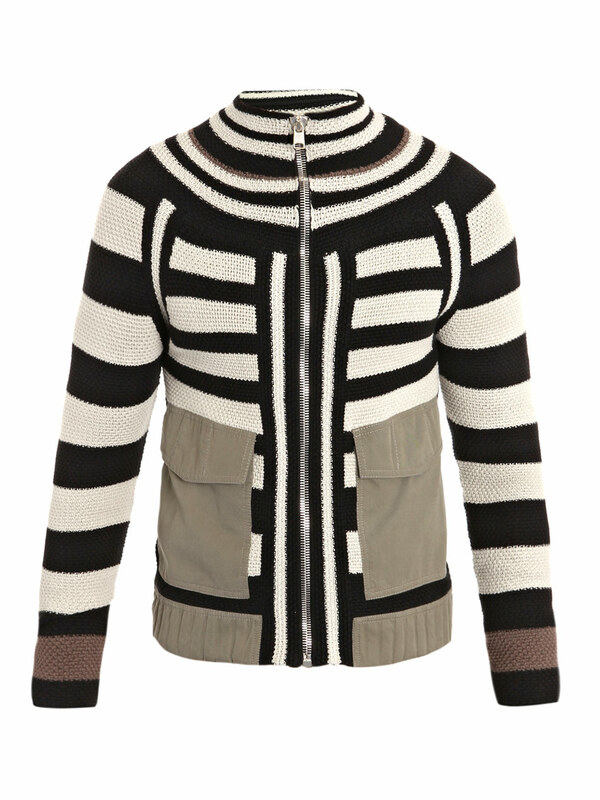 Federer wore a bold striped cardigan with patch pocket detailings from Alexander McQueen Spring Summer 2012. I love the burst of blue underneath the cardigan. What do you think of Federer's look? You can get Roger Federer's Alexander McQueen striped patch pockets cardigan online from MatchesFashion, now on sale at 40% off. Nike Air Yeezy 2 on his feet.